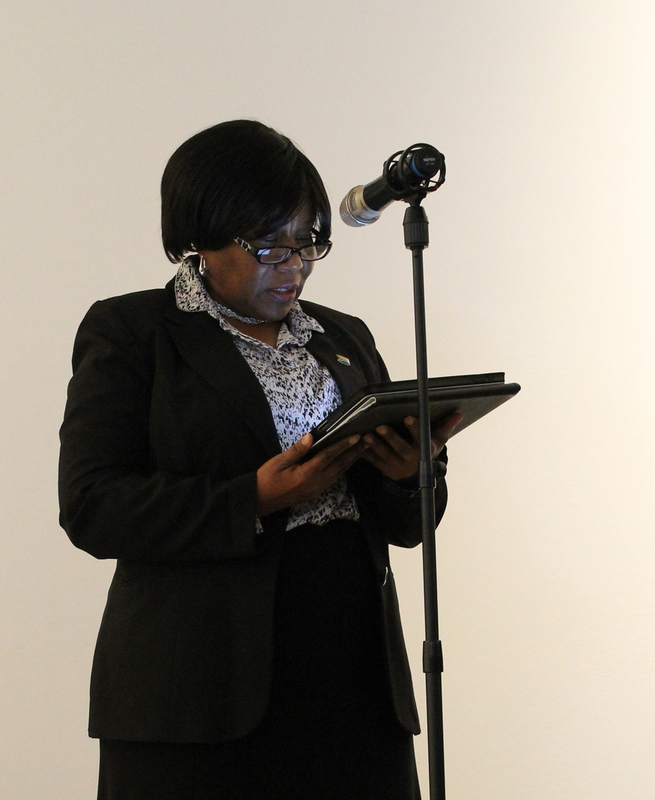 South African Ambassador to Norway, Queen Anne Zondo, wrote a new chapter when she opened photographer, Zanele Muholi’s exhibition, at the Akershus Art Center, Lillestrøm, in Oslo, on February 21. Zanele Muholi – The Art of Activism, exhibition opened to a crowd of art lovers and followers of the artivist’s work, some with their children in tow. 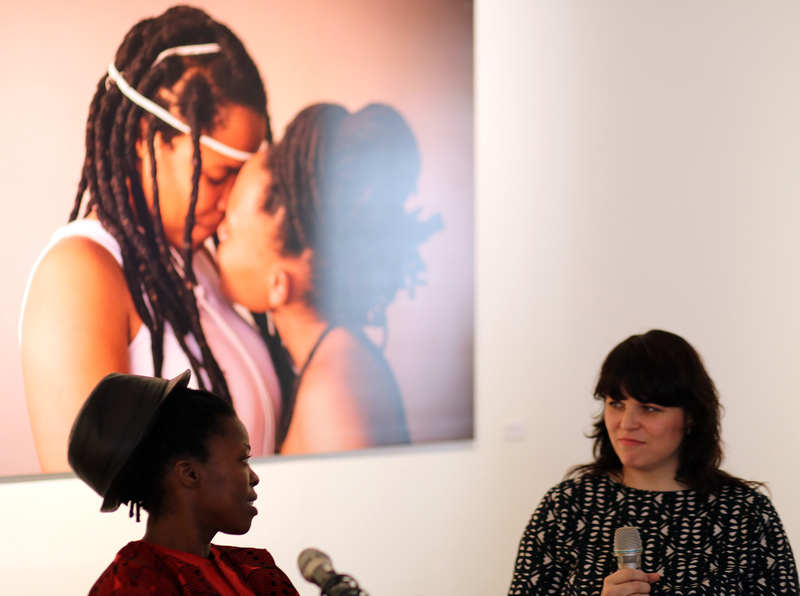 2015 Feb. 21 Muholi in conversation with Kjersti. Photos by Shaz ‘Sicka’ Mthunzi in Oslo. The work exhibited comes from the “Being”, “ZaVa” and Faces and Phases series, which mixes the black and white portraits of black lesbians and transgender people, with photographs about love and relationships in the lesbian community. Akershus Art Center director, Rikke Komissar says their exhibition programme varies, and covers from contemporary artists dealing with formal aesthetics to more societal and politically engaged topics, while socially engaged visual art is repeated in their programme. Exhibition is open until March 29 2015. This entry was posted in Another Approach Is Possible, Archived memories, Creating awareness, Expression, Power of the Voice, South Africa, We Are You, We Care, We Still Can with/out Resources, Writing is a Right and tagged Action, Artivist, Arts, beauty, Black lesbians, Experience, Expression, Feelings, Gender Identity, Gratitude, Homosexuality, human rights, Intimacy, Lerato Dumse, Living..., Love, Lulu Xingwana, Ongoing hate crimes in SA, Queen Anne Zondo, Relationships, Respect, Sexuality, Societal stereotypes, South African Ambassador to Norway, South Africans in Norway, Undoing homophobia, Visual activism, Visual history, Words. Bookmark the permalink.